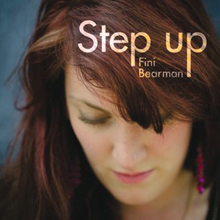 Vocalist Fini Bearman made an impressive debut as a leader with Step Up (Feenz Beenz Records, 2011), a set of her original songs. In 2014 she effectively re-imagined classics on her second album, Porgy And Bess. 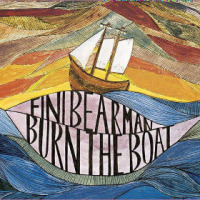 Burn The Boat returns to the structure of her debut release, presenting another nine of Bearman's original compositions, with the singer alongside a completely new band. It's a beautiful recording. 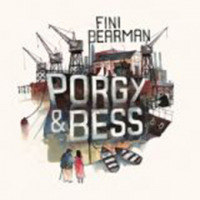 Bearman's talent as a vocalist is clear from Porgy And Bess, where George Gershwin provided the tunes. What's immediately apparent on Burn The Boat is Bearman's own commanding ability as a writer. From the drama of "Sand On Sand" to the poppy "Gone" and the grungy, unsettling rawness of the title trackwith Nick Costley-White's guitar, Conor Chaplin's bass and Dave Hamblett's drums laying down a suitably earthy backingshe's on top compositional form. She also has a talent for crafting melodies in sympathy with the words of others; three of the tracks here are based on poems: Lisbon's Fernando Pessoa, whose work also appeared on Step Up with "I Know, I Alone"; Langston Hughes' "The Idea"; and e.e.cummings' "Such A Fool." It's also notable that, while Bearman often favours multi-tracked vocalsan approach that seems to be undergoing something of a revival these daysshe avoids the trap of using technology for its own sake. Each vocal layer retains its humanity and emotional connection. But it's another solo composition, "I'd Rather Have The Rain," that really strikes home. A beautiful ballad, sung exquisitely by Bearman and benefitting from the fluid and romantic backing of the band, the lyrics suggest the absence of a lover or perhaps the loss of love. Costley-White's acoustic guitar, Hamblett's brushes and Matt Robinson's piano are in complete sympathy with both voice and lyric. OK, it takes a few decades to really establish a song as a classic, but this one is already well on its way. Track Listing: Sand On Sand; Burn The Boat; Gone; I’d Rather Have The Rain; I Know, I Alone; Maybe Next Year; The Idea; Say The Words; Such A Fool. Personnel: Fini Bearman: vocals; Matt Robinson: piano, Fender Rhodes, synthesizers; Nick Costley-White: guitar; Conor Chaplin: bass; Dave Hamblett: drums; Natalie Williams: backing vocals (8).